All next week, Janet Syas Nitsick and I will be running a giveaway from May 12-19. That’s eight giveaways, one for each day. Click here to go to the Facebook page! The center of the party will be on Facebook, but some of you aren’t on Facebook, and we want to give you a chance to enter the giveaways, too. So what we’ll do is announce the giveaway at 8pm central US time the night before the winner(s) will be announced. For example, the first giveaway winners will be announced on May 12 at 8pm central US time. We will announce the giveaway entry on May 11 at 8pm central US time. That gives everyone 24 hours to enter the giveaway. Hopefully, this will allow everyone enough time to enter. Below is the schedule of planned giveaways for the week. May 12: Special Guest Rose Gordon! Rose Gordon will be having a Facebook party for her new release, Desires of a Baron. She will be joining us on this day to say hi and answer any questions you have. Also, Janet and I will share how we met her and answer any questions you’d like to ask us. I’m going to dig through my photos and see if I can find a picture I have with Rose. On this day, Janet and I will be offering a giveaway of Rose’s books/ebooks. It’ll be winners’ choice. On this day, we will share some of our most romantic memories. They can be real life ones or ones you read in a book or saw in a movie. The giveaway on this day will be a candle holder in the shape of a barrel. 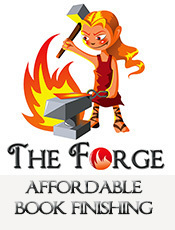 We’ll offer paperbacks or ebooks (winner’s choice) from our books. On this day, we will share what we love most in our heroes. A $50 gift card and ebooks/paperbacks will be offered in the giveaway. Winner will choose what the gift card is for and whether to receive ebooks or paperbacks. On this day, we will share something small we own that means a lot to us. This can be a ring, a knickknack, etc. We’re giving away a small rectangular box with the western look to it that you can put small things in. We’ll also offer ebooks or paperbacks, winner’s choice. On this day, we will share the best gift a hero in a book or movie has given the heroine. The giveaway will be another $50 gift card and ebooks or paperbacks. Both gift card and books will be winner’s choice. On this day, we will share some of the best surprises we’ve ever had. It could be anything from a surprise birthday party to a surprise gift or maybe even an unexpected compliment you received. We will be giving away a trunk about the size of a bread box that can hold a variety of items. In addition to this, we’ll give away paperbacks or ebooks (winner’s choice). On this day, we’ll discuss pet peeves in books, particularly those things a hero or heroine does that kills the book for you. We will be giving away a $50 gift card and paperbacks/ebooks. The winner will pick the gift card and paperbacks/ebooks. On the last day, we’ll discuss any romantic getaways we’ve been on or read about in a book. The giveaway will include a $50 gift card and paperbacks/ebooks, both winner’s choice. At 8pm central US time on the day before the giveaway, we will post the information about the giveaway. Winners for the giveaways will be announced on the evening of the giveaway (8pm central US time) on each of the days the giveaway runs. The main hub of the party is at Facebook. But if you don’t have a Facebook account, you can enter on this blog. If you enter on the blog, I fill out the contact form in the post. The form will ensure your privacy so others won’t see your email address. Wow, you have quite a line up! That sounds awesome!